As well as being a higher educational institution, BCOM is also a registered charity in England and Wales (312907). BCOM not only provides graduate and postgraduate osteopathic education but also provides access to osteopathic care to the community and promotes research in osteopathy. BCOM provides holistic and naturopathic osteopathic medicine to a full community of patients of all ages and with a wide range of conditions. BCOM provides a free children’s clinic and a number of concessionary or free appointments for other age groups. In 2015-2016 BCOM provided over 4,200 free or concessionary appointments. 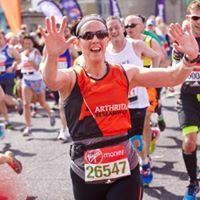 BCOM works with a number of other charities following major events such as the London Marathon providing after care for their runners. BCOM students and the Student Union also raise money for events such as Children in Need and World Book Day through cake and book sales. The Student Hardship Fund was introduced to provide support for BCOM students in times of financial hardship. Tuition Fees for the Osteopathy Degree at BCOM are £9,250 per annum for home students and £10,500 per annum for overseas students and students who have not been resident in the UK or EU for 5 years.Full-time students who have not studied for a previous degree will be eligible for a Student Loan. Those who are studying for the M.Ost as their second degree will not receive a Student Loan and have to fund the course themselves. The Government are removing the availability of Maintenance Grants. Only Maintenance Loans will be available, which need to be paid back. Maintenance Grants did not have to be paid back. The only available funding from BCOM is the Bursary and this is not very much. Last year 22% of students who applied were awarded the Bursary. Funding from Plymouth University is no longer available to our students. Very few students seek funding help even when they need it - probably due to embarrass­ment. This means that they struggle on their own. The Osteopathic Educational Fund allows students to apply for a loan of up to £3,000 which has to be paid back. For the 2014-15 academic year, 3 students applied for the funding. The majority of our students apply through the Student Loans Company. Very few are private payers. As part of its green agenda BCOM recycles all of its waste materials. All of BCOM’s mixed waste is recycled or goes towards creating energy. This means that BCOM sends zero waste to landfill sites. To save energy: Recycling and reusing products uses less energy than creating products from raw materials. To be environmentally friendly: Recycling helps prevent deforestation by reducing the number of trees and forests that are cut down. To reduce landfill: Recycling diverts waste from landfill, which reduces the amount of methane and greenhouse gases that are released from landfill sites in to the atmosphere. To be happy: A recent survey commissioned by Green Office Week shows that workers are happier if the companies they work for are greener. Thank you to everyone who helps to make recycling at BCOM a success. The British College of Osteopathic Medicine has a working partnership with the C4WS Homeless Project. BCOM clinic provides osteopathic care to C4WS Homeless Project guests. C4WS Homeless Project was established in 2005 in Camden but twelve years later homelessness continues to rise with an estimated 2,569 people sleeping on the streets in England, and this number is an underestimation as it fails to count individuals who ‘sofa-surf’. 48% of C4WS Homeless Project guests are in the 18-25 year age bracket. The primary reason for homelessness for C4WS Homeless Project guests is simply a lack of money (36%). A homeless audit in 2014 found that 73% of the homeless reported some form of physical problem with 22.1% reporting joints and muscular problems (this compares to 13.9% of the general population). An observational study in 2013 on chronic pain in the homeless suggested that 51.4% of the respondents reported pain in their lower limbs, 36.9% in the abdomen, back and pelvis. The study suggested that the homeless had higher levels of chronic pain compared to the general population for number of reasons. 41% of C4WS Homeless Project guests report physical health problems. BCOM has over 80 years of teaching osteopathic and naturopathic students. The college provides a teaching clinic on site offering approximately 20,000 patient appointments a year. BCOM’s ethos is focusing on an individual’s overall health as well as the muscle or joint pain an individual may have. BCOM tutors and clinical students provide osteopathic treatment to the C4WS Homeless Project guests on a fortnightly basis at the C4WS Homeless Project winter shelter. Further, C4WS Homeless Project guests are also be seen in the BCOM teaching clinic. 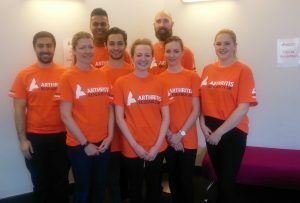 Each year a team of BCOM student volunteers provides post-race care to runners at the London Marathon for major UK charities including Arthritis Research UK , Bliss UK and Breast Cancer Now. BCOM’s teaching faculty has a wealth of experience in osteopathic sports care, and under the supervision of BCOM’s registered osteopaths the students administer care and treatment to runners after they have completed the marathon. The event has always been a huge success and our students have continued to offer a high degree of professionalism, an excellent rapport with runners and a caring attitude.